Since launch three years ago, our solar boat, Stillness, has never been plugged in to the grid and has easily got all the power she needs from the solar panels on the roof. She quite regularly does the trip to Lake Cootharaba and typically at the end of the day has 50% to 70% left in her lithium batteries. 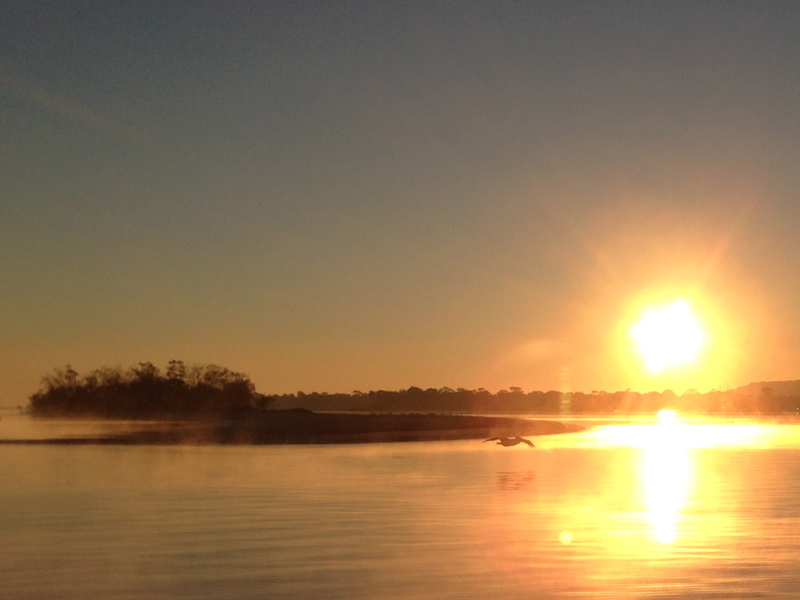 Lake Cootharaba and beyond is a relatively long trip and way longer than a typical rental trip where most prefer to explore around Noosa Sound, and anchor up for a while in Woods Bay. For smaller trips in the Noosa Sound area, and with good sun, its not unusual for her to come back with still 90 to 95% of battery power remaining—being topped up as she is from the solar panels on the roof. For long trips the flow of the tide is quite important and can help or hinder progress. By leaving just on high tide at our jetty, you can catch the tide all the way up — there is a time delay in the high water reaching lake Cootharaba, so we take advantage of that. We can then explore up into the Everglades to Harry’s Hut and then return to lake Cootharaba to catch the outgoing tide back down to base at Noosaville. The design intention was to provide enough power to go all day without any sun shining, and for small trips to be able to get all the power needed from the sun on that day. It matches that purpose nicely — it feels good to know that you have more than enough battery power to do any conceivable trip up and down the river. There is still more space on the roof for more panels and so we have reserve potential that may be needed as the bookings naturally increase as more people get to hear of us. 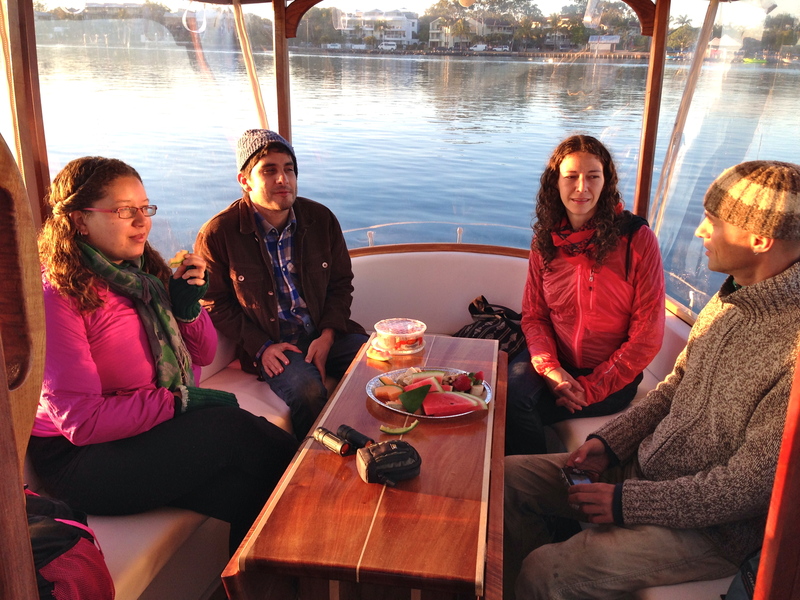 Stillness is fitted with a Torqeedo Cruise 2 and we usually run it at a power setting of around 1500 watts to give a good cruising speed of 4 to 5 knots. Quite often we run at lower power settings when exploring and at 2 to 3 knots it runs on the power from the sun without taking anything from the batteries. The efficiency of the Torqeedo motor helps us to be able to get such a good range from this boat. It is 2 to 3 times more efficient than other outboard motor designs, which lets us get the most from our battery and solar capacity. The Thundersky batteries are working well and they are matched quite nicely with the solar panels. The panels can produce about 1.5kwhr of power per day, and being matched with batteries of 15 kWhr it would take 10 days to recharge from totally flat. The lowest the batteries have ever got is 30% of capacity and even at this level the boat can still be used for a typical trip around Noosa Sound and Woods Bay. 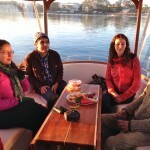 Stillness is now operated in a joint venture with Kirsty and Linda of Malu Os electric boat rental at Noosaville — like me they see advantages in using quiet electric power and have three electric Duffy boat as well as electric bikes. 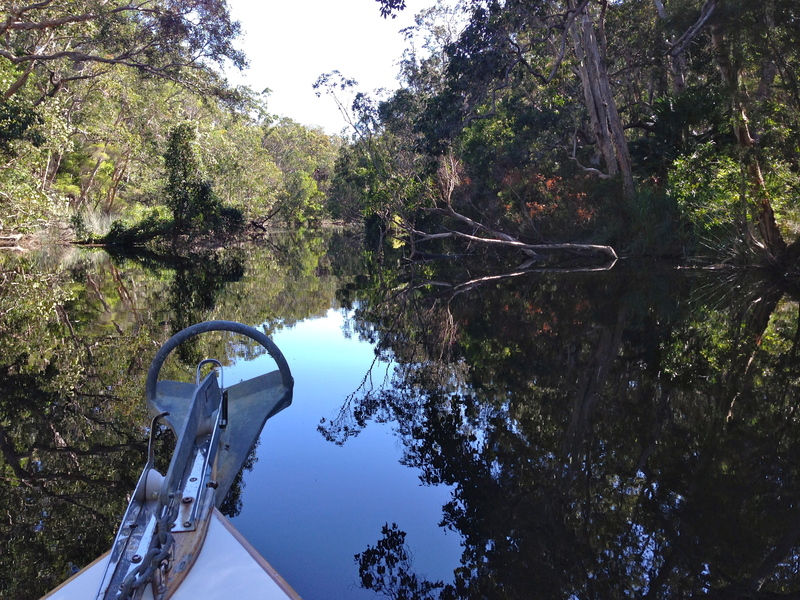 Drop by sometime and take Stillness around Noosa Sound or up the river to Lake Cootharaba, or one of the other electric boats for in the local area up as far as Lake Cooroibah. 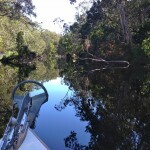 Stillness can rented to drive yourself or we can take you on a eco adventure into the Noosa Everglades. 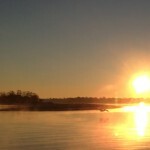 Lithium batteries, solar boat, solar power, Torqeedo Cruise 2. Bookmark.